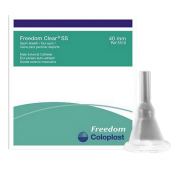 Freedom Clear SS Male Silicone External Condom Catheter Coloplast 5100, 5200, 5300, 5400, 5500. 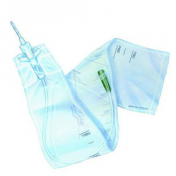 Freedom Clear SS Male External Condom Catheter is 100% latex free so there is no risk of a latex allergic reaction. Freedom Clear Short Seal is self-adhearing and is designed to provide the highest level of comfort and breathability for everyday wear. 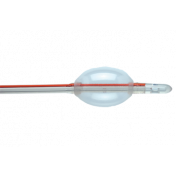 As the name would suggest, Freedom Clear external catheter is totally clear to allow for visual checking without having to remove the catheter. 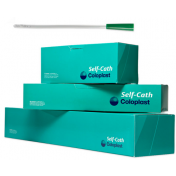 We cannot answer specific questions as to how often a catheter should be changed. It's best to contact your physician regarding this matter. Use of these at night allow my husband to sleep through the night. These external condoms work great. Very easy to use. We also sometimes use a skin prep if needed and that helps a lot. 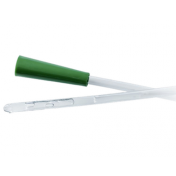 This product is advertised as SS which stands for Sports Sheath. That refers to the length. The SS model is a shorter length which I prefer so that it doesn't catch the hair. However, this is NOT the SS length; it is the standard length. 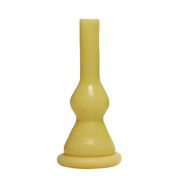 Standard length product #s end in 00. Ex. 5100, 5200, 5300. Sports Sheath (SS) length #s end in 10. Ex. 5110, 5210, 5310. I called Vitality about this issue, but no one has called me back. I called again today and was disconnected. THE QUALITY OF THIS LAST SHIPMENT I RECEIVED IS NOT AS GOOD AS THE ONES BEFORE. THEY ARE THINNER AND DO NOT STAY ON AS LONG. AND WE ARE USING GLUE. GOING TO LOOK SOMEWHERE ELSE FOR THICKER AND BETTER CATHETER. 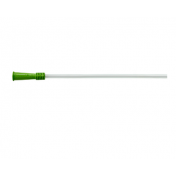 My patients feel very comfortable to use this catheter every day. It doesn’t irritate their skin and it is latex-free. 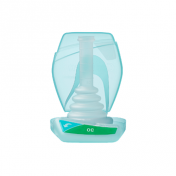 It is an ideal product for males that don’t want to use adhesive tapes. 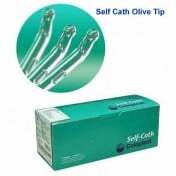 My patients love their freedom with this external catheter.